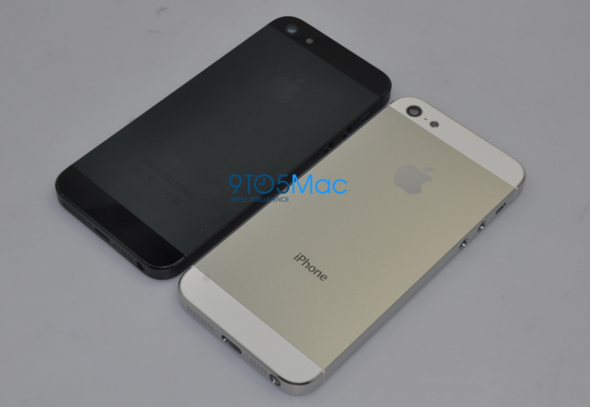 If you are keeping up on all your iPhone 5 rumors, then you will no doubt have gotten all hot under the collar about yesterday’s leaked images of what appear to be rear plates from an “iPhone 5”. The images were part of a collection which also showed a relocated FaceTime camera and altered unibody design. The new shell, or should we say supposed photos of the supposed shell, caused something of a frenzy across the internet yesterday, with arguments breaking out as to their authenticity. Today the same blog has come back to say that these images match up with at least one of the iPhone prototypes that are currently being tested by Apple internally, and with no handsets yet being left in a bar or being the subject of a raid, then we will have to take 9to5Mac’s word for it. Of course, the site is not simply guessing. Using sources that have been used before, 9to5Mac believes that Apple is currently working on a variety of possible future iPhones at its Cupertino campus. If these leaked photos do indeed show the handset in deconstructed form, then we are in for an all-new design, complete with a new screen. Taller than the current iPhone screen, but the same width, a change in screen size would be the first time the dimensions of the screen have changed since the original iPhone was released back in 2007. With Android competition seeing increasingly large smartphones hitting the market, Apple is potentially set to increase its 3.5-inch screen size in order to keep up with the Joneses. As of right now, the only thing we know for sure is that the rumors are beginning to come thick and fast, and when photographs start showing up then it is an indication that something is definitely afoot. If Apple is indeed altering the screen size of its next iPhone, we suspect it will need to inform App Store developers sooner rather than later in order to afford them as much time as possible to prepare. With WWDC coming up, could Apple let the cat out of the bag? Possibly not, unless the new handset is going to put in an appearance much sooner than the expected October release date.